The process of joining two distinct material pieces into one component in the construction industry has significantly been simplified. Nailers-which is the inventions that have facilitated this-have well been able to eradicate the former characteristic of joining two materials by hammering the nails; which entailed not only a lot of time but also hard manual labor during constructions or even repairs. Through the application of a nailer, a job that formerly mandated for two individuals can be completed effectively and with lesser time by one individual. All you have to do is hold the materials being joined together with one hand and the Nailer with the other and just pull the trigger. Nonetheless, even with this significant invention, which is the one particular nailer that guarantees you value for your money? The BOSTITCH F21PL Round Head 1-1/2-Inch to 3-1/2-Inch Framing Nailer with Positive Placement Tip and Magnesium Housing is a product of Bostitch Company based in the US. It is rated among the best-selling nailers in Amazon and after you see its features and characteristics you will understand why. Have you formally worked with any type pneumatic or power tool? 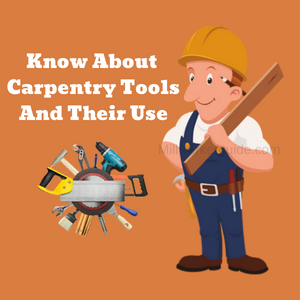 If so you will agree that with these tools there is bound to be a tradeoff between the tool’s weight and its power. In most provisions, to get a powerful tool with the capacity for a big task, normally the bulky and heavy ones are what you get. One of the first pneumatic tools to have powerful and lightweight characteristics in one tool is definitely the Bostitch F21PL Nailer. The nailer weighs an approximate 9 lbs. It is characterized by a nail driving power of 1,050 inch-pounds. Consists of a Sequential Trigger and a Bump Trigger. Its dimensions of 23 x 16 x 6 inches make it a fairly compact device. It consists of a 16-inch layout indicator just adjacent to the magazine which ensures there is an accurate distance in-between nail. The gun is made of a material composition of magnesium which boasts both light weight and durability. For those worrying about comfort during prolonged use, it comes with rubber grips and rubber skid pads for your comfort. It comes with one of the longest warranty periods of 7 years. Comfort: Based on its light weight and subsequent rubber grips, using this device makes your task seem lighter and you avoid sore and numb hands. Ample nail storage space of up to 60 framing nails. Variable Nose Pieces: Allows the user to change from framing nails to metal connector nails in an instant. The use of some nails, especially of poor quality, result in the tool misfiring. Occasional jamming of nail jams especially on loading over one nail strip at a time. If you have been searching for a tool that guarantees you durability, usability and power in your construction projects without ending up with shoulder or arm cramps, the Bostitch F21PL Round Head 1-1/2-Inch to 3-1/2-Inch Framing Nailer is definitely the tool you need to have in your arms. Most of the 232 comments that I have read on Amazon are positive and the negatives, mainly complain about the noise generated when the gun is triggered. The overall impression is that The product is efficient and this is reflexed in the composite rating of 4 stars.